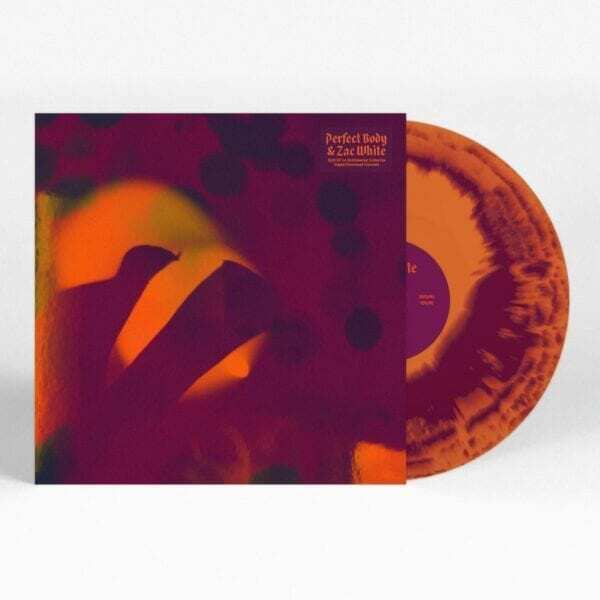 Orange / Purple Colour effect Vinyl. Digital Download Included. 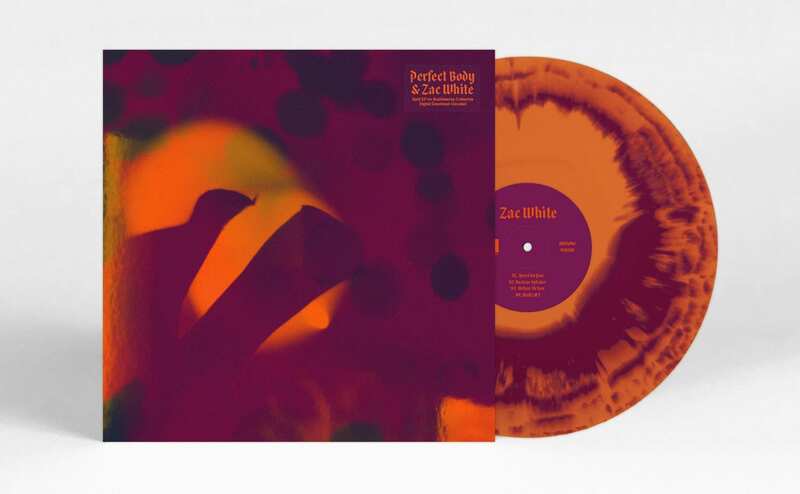 Following on from the success of 2017 split EP with Boy Azooga and Buzzard Buzzard Buzzard, Bubblewrap Collective brings you two of the most exciting acts on the Cardiff music scene: Perfect Body and Zac White. The record, pressed onto limited edition purple and orange vinyl, will be released on November 23rd and features artwork from Cardiff artist and musician Teddy Hunter. The release continues the camaraderie across the Cardiff music scene with Tom Rees (of Buzzard Buzzard Buzzard) producing at Rat Trap studios alongside Zac and Perfect Body. 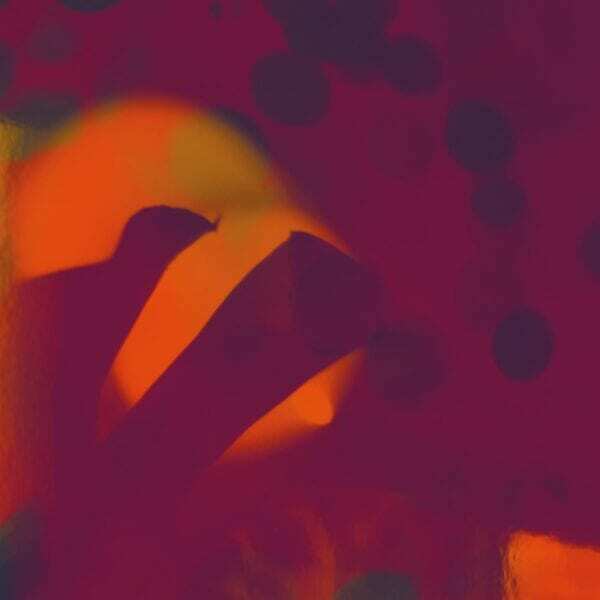 Perfect Body are a Cardiff based band, playing a dreamy and psychedelic brand of noise-pop; Drawing influence from the murky haze of My Bloody Valentine with the pop sensibilities of the 60’s British invasion. Their earliest performances took place in Cardiff’s underground, often in practice spaces and house parties: So, by the time Perfect Body emerged on the music scene, they had already sculpted a distinctive sonic identity. The attention gained from their first single, ‘Getting Cold’, saw them supporting the likes of Jen Cloher, Slowcoaches, and The Wytches, as well as performing of the much-coveted Rising Stage at Greenman 2018. 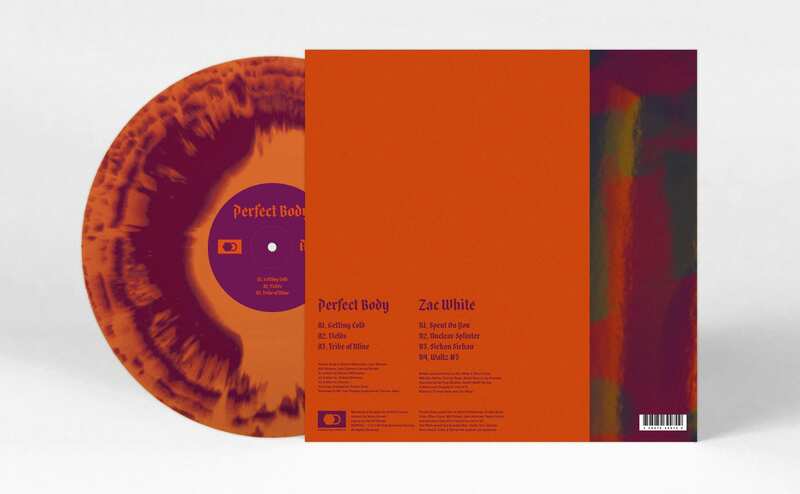 Perfect Body’s sound is characterized by it’s noisy, psychedelic guitar playing; icy, ethereal synthesizers; and a muscular, yet dynamic rhythm section. Their three vocalists, each with their own style and identities, ensure that Perfect Body’s performances are varied and engaging. 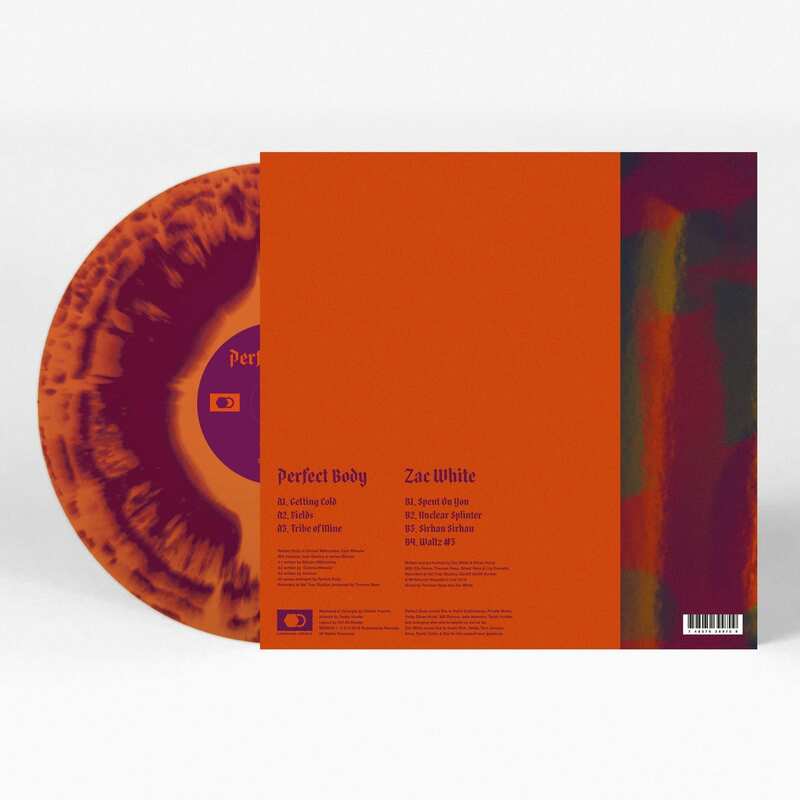 Perfect Body is a wall of noise, hazing over and obscuring what is, at it’s core, pop-oriented songwriting. Despite being only 20 years old, Zac White has been playing on Cardiff’s live music scene for over five years. Alongside his early days performing with FUR and part of Lily and White, Zac has been honing his own sound based on influences such as Wilco, Loose Fur, Sonic Youth and Broadcast. His 90s/00s off-kilter indie sound has grown from minimal arrangements with drummer Ethan Hurst into a rollicking, reverb-drenched, garage-psych experience. For his live shows and upcoming EP, accompaniment comes from Tom and Ed Rees of Buzzard Buzzard Buzzard, with whom Zac also plays.